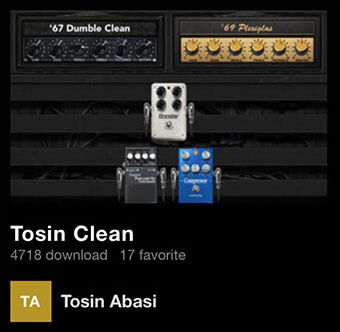 Moving from technical virtuosity to polyrhythmic emotional resonance, Tosin Abasi, lead guitarist of Animals As Leaders seamlessly combines progressive, experimental metal, modern jazz, alternative, and even world music, constantly raising the bar of innovation and pushing the limits of his sound. From From jazz to metal, dig into your progressive tapping techniques and take ‘em to the next level with this clean tone that’s been beautifully paired up with a hint of delay and slight compression. What happens when you mix your favorite features of two different amps? Well, this is what happens! 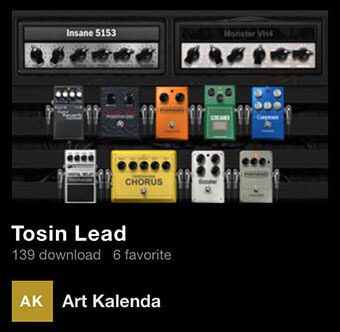 Shred like Tosin with this articulate high gain lead tone. Hey, we all love solos. But we can all agree, a great rhythm tone is an absolute essential part of your guitar tone arsenal. 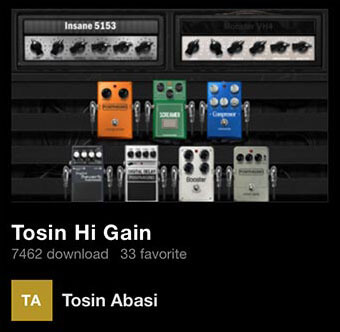 This preset delivers the best of everything: an articulate high gain rhythm sound with plenty of note articulation on tap that’ll keep even the most discerning tone chasers satisfied.